Modern. Luxury. Trendy. 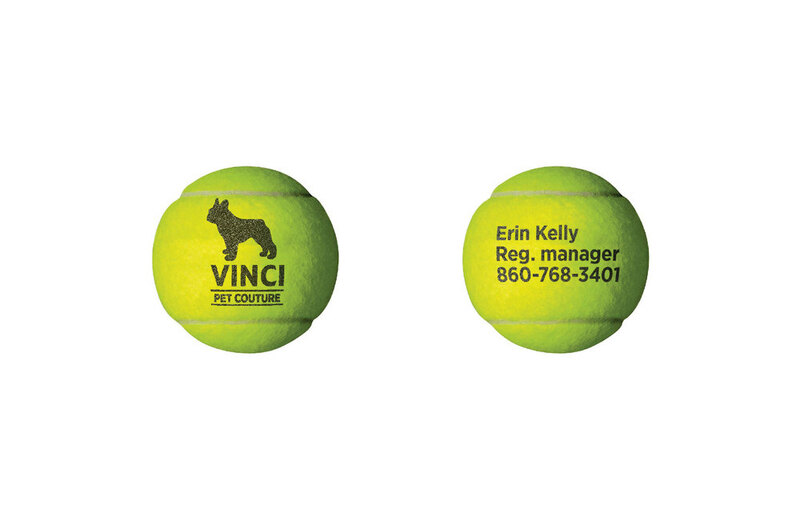 Three essential identifiers for the Vinci Pet Couture brand. Using clean, bold type speaks to the sophisticated feel of Vinci boutique stores while the wood grain filled silhouette of Vinci the french bulldog has a playful, hip presence. And, who doesn't love a tennis ball-business card?